The nursing team at the CK Birla Hospital for Women works together with your consultant, the physiotherapist, the dietician and other members of our multidisciplinary care team to ensure you get the best care possible. The nursing team are an experienced, highly trained set of nurses who undergo rigorous assessment to ensure we only employ the best. This joint care team works together to help you meet your goals and ensure you experience continuity in care. It integrates the unique skills and knowledge of different medical specialists and reduces risks that arise from uncoordinated care. The senior nursing team visit every patient each day to see how things are going and if there is anything we can do to improve your experience with us. Anne Durell joins us from the NHS UK. She has over 30 years’ experience in acute healthcare, specialising as a midwife. Anne has worked at Surrey & Sussex NHS Healthcare trust and Brighton and Sussex University Hospital Trust. She has also worked all over countries in Africa teaching lifesaving obstetric and newborn skills to doctors and nurses to reduce maternal and infant mortality. She has outstanding clinical credentials and combines this with extensive operational and strategic experience. 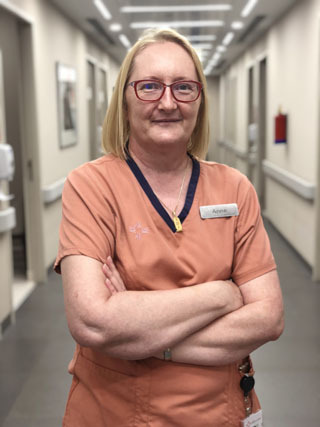 With Anne’s wealth of skills and knowledge, she provides strong professional leadership for our team of dedicated nurses. Our extensive nursing team also comprises of specialized matrons and educators and area wise nurses brining many years of experience with them. We also have specialized nurses for our NICU, adult critical care, labour rooms and operating theatres. They play key roles in leadership and in proving clinical and no clinical trainings.